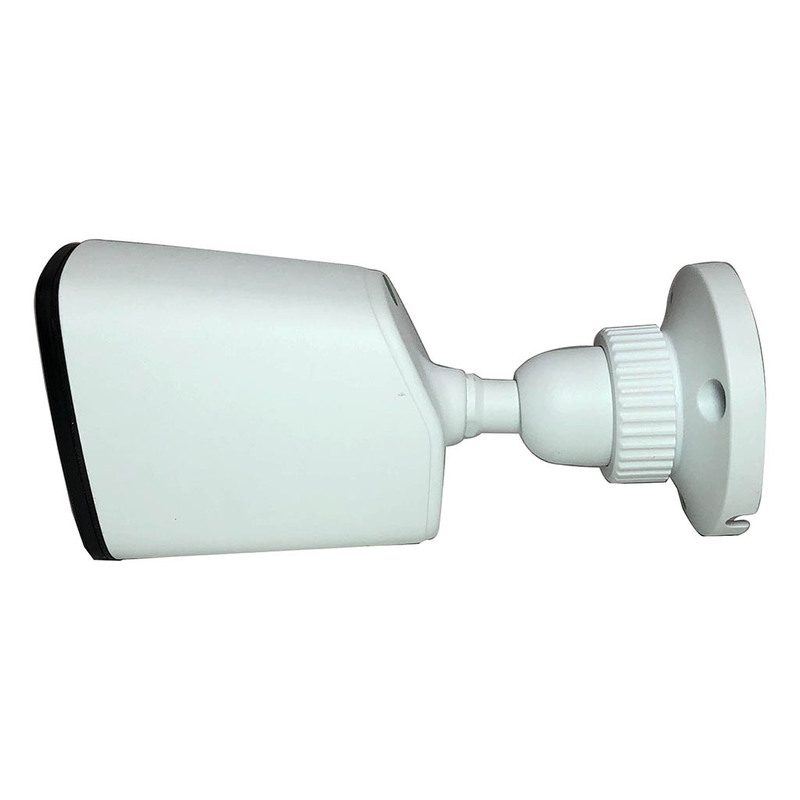 ELI-ACVIQ-B2-S4R 2mp HD Over Coaxial Cable starlight Bullet security camera is switchable and has HDTVI, HDCVI, AHD and Analog outputs. That means this HD 2 Mega-pixel 1080p bullet camera works with DVR Security Recorders of those compatible technologies. 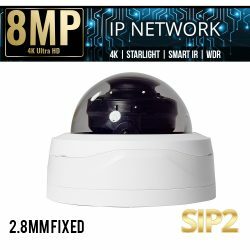 This camera is accompanied with a Starlight chipset that allows the camera to capture excellent HD video clearly in low light. 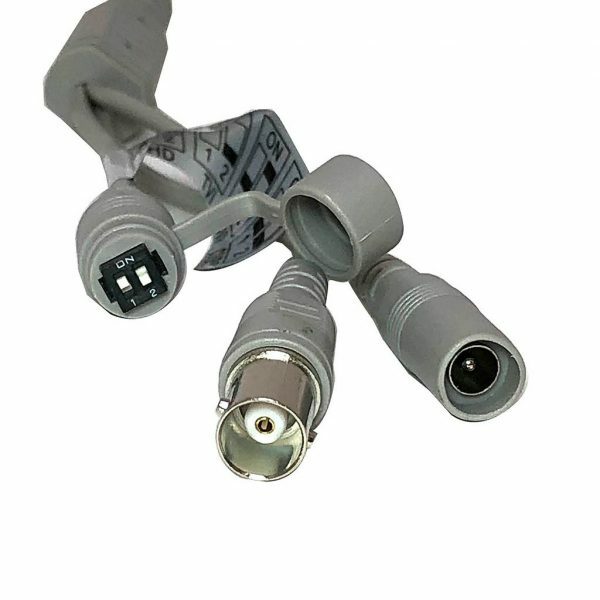 The ELI-ACVIQ-B2-S4R is apart of the HD Over Coaxial cable series and can provide 1080p HD resolutions. 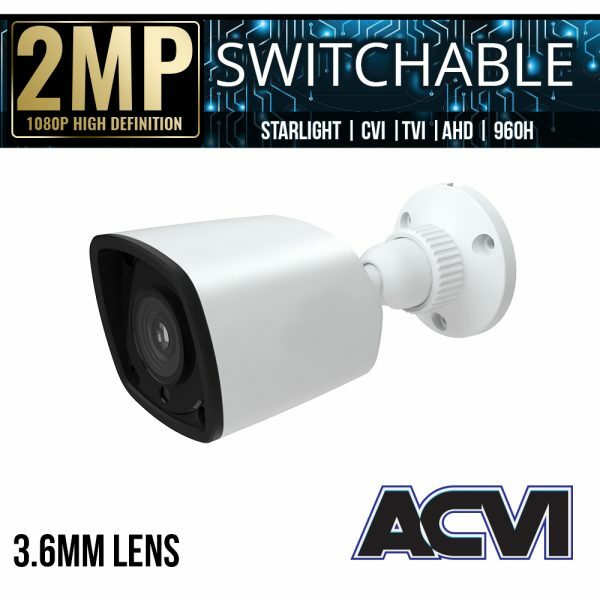 The HD Starlight Bullet Security camera can be used in multiple environments and in dark areas. 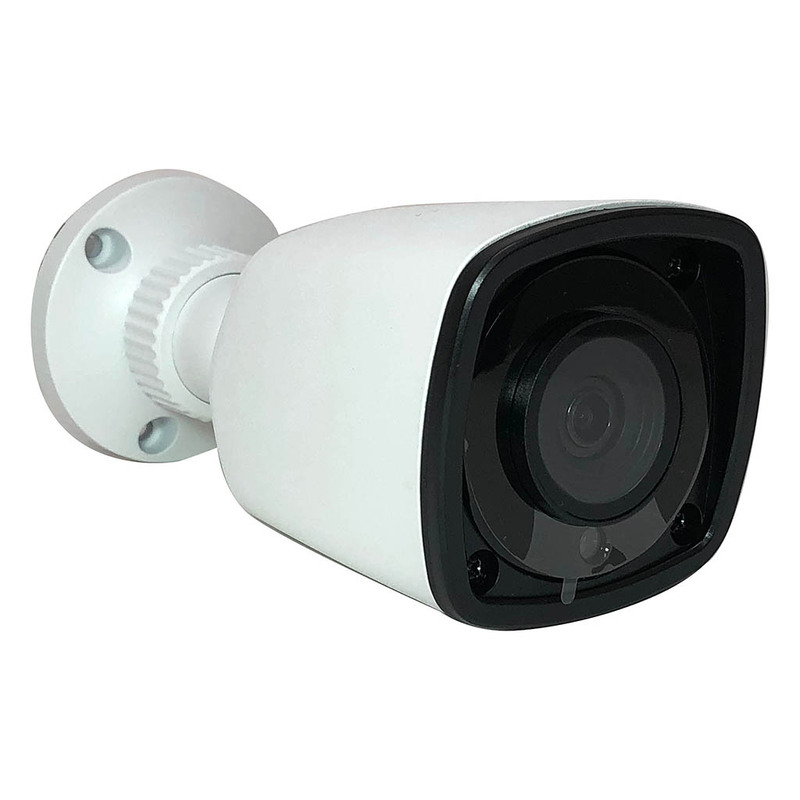 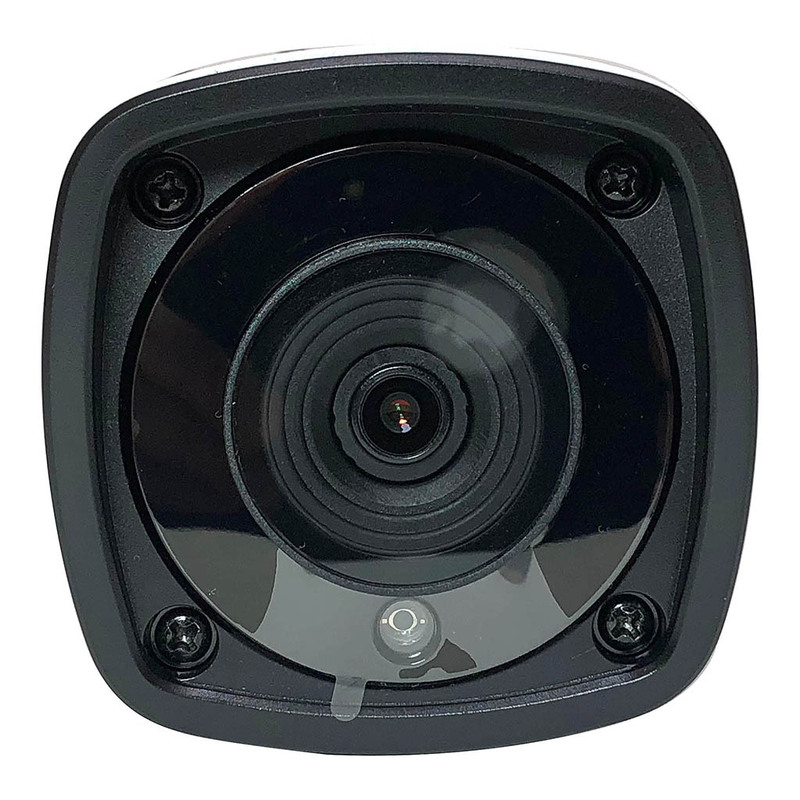 The 3.6mm wide angled fixed lens can see fine details and with IR night vision this bullet security camera can see up to 65 feet in the dark. 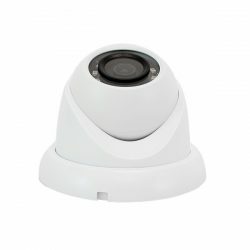 SKU: ELI-ACVIQ-B2-4RS. 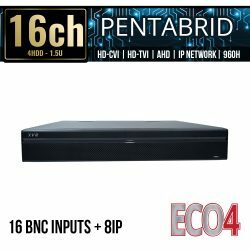 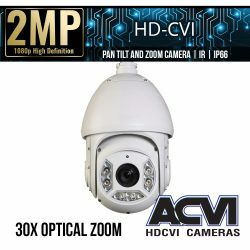 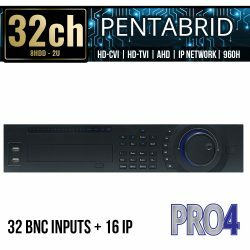 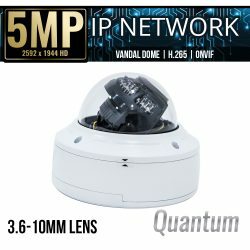 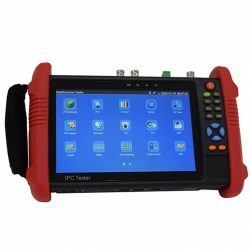 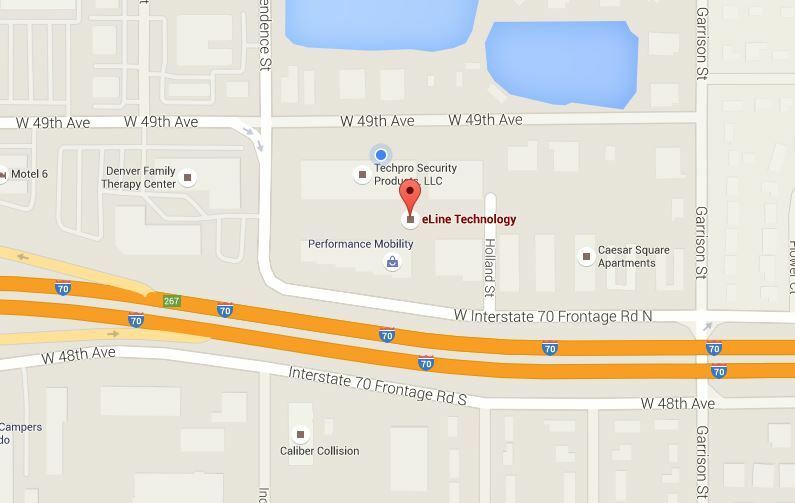 Categories: Browse by Series, ACVI Series, Security Cameras, HD Over Coax Cameras, Starlight HD Security Cameras, 2 Mega Pixel Cameras, Quadbrid Security Cameras, HDTVI HD Security Cameras, HDCVI HD Security Cameras, AHD Security Cameras, 960H Analog Security Cameras, Bullet Cameras, Fixed Lens Cameras, ACVI Series Cameras.